For more than 95 years, the ENSCR has been training generalist graduate engineers in chemistry for all companies, for careers in production and support services, from engineering to management, for industries in France, Europe and around the world. Chemical engineering graduates from the ENSCR are recognised and much sought-after on the job market, for their mastery of the ideas and the tools of their trade. They are able to run projects in complete autonomy at the national and international level. 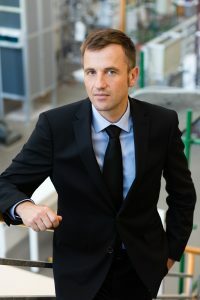 The school is run by a Director, Professor Régis Gautier, and administered by a Board of Trustees whose chairman is Malika Haimeur, assisted by a scientific council.